Inspired by the "Mac" skin, the Cottage skin series is designed to stylishly maximize usable space for dashboard apps. Includes Wisbar and Today files, as well as a separate background for each Dashboard view. 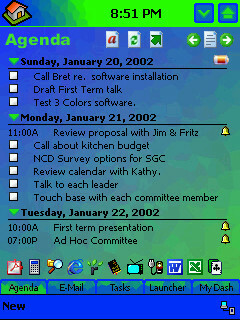 Also provides option for the Compaq version of Dashboard with a "Contacts" tab and background.